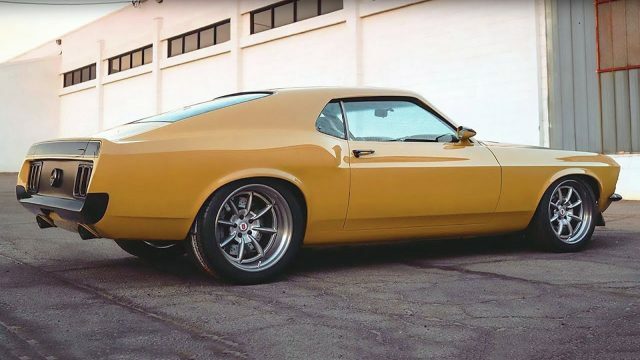 This custom built 1970 Ford Mustang Boss 302 presents an essence in the custom muscle car industry, and was built by Speedkore. Not only because it is equipped with a latest and coolest equipment, but also because is crafted with a high quality materials, while attention to details is simply staggering. 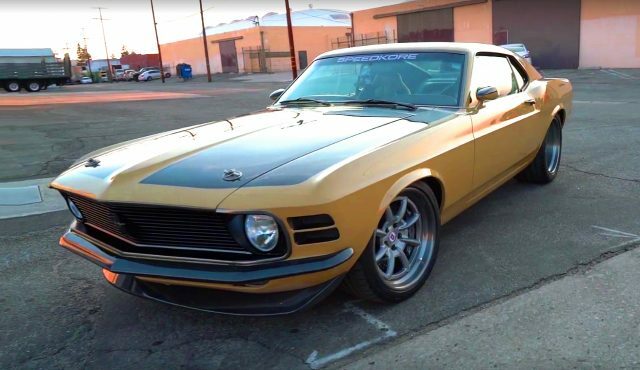 First of all, let’s make clear something, this ’70 Boss 302 belongs to the famous actor Robert Downey Jr, YES, the Iron Man, or Tony Stark, whatever you want to call him. Therefore, this custom piece of art is not cheap at all, and he personally was involved in designing this Mustang. 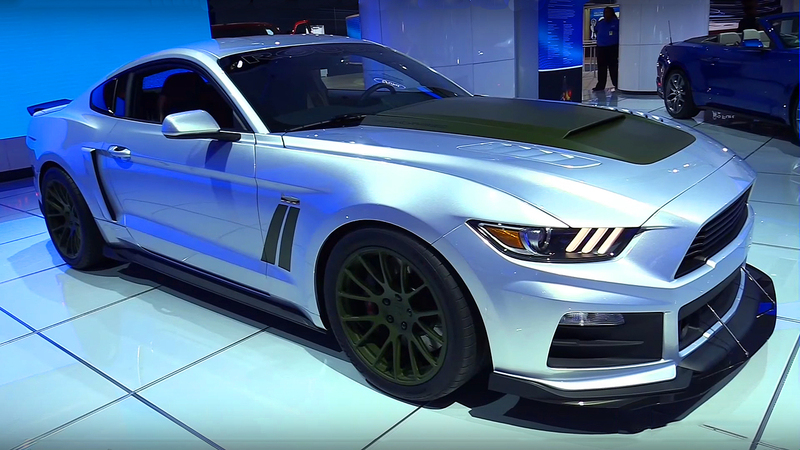 As a result, this Mustang won a Ford Design Award at the 2017 Sema Motor Show. 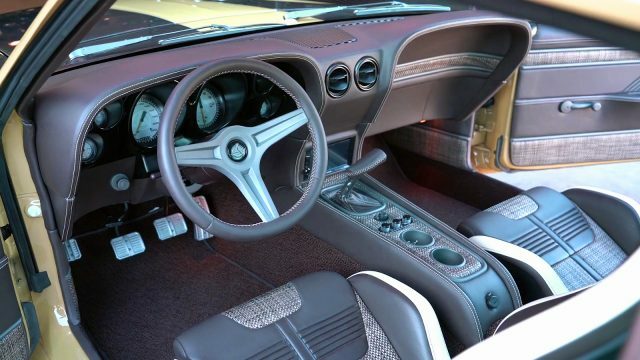 The interior design is a mix of retro and modern, featuring gray leather in combination with a vintage fabric, designed by Gabe’s Street Rod Custom Interiors. 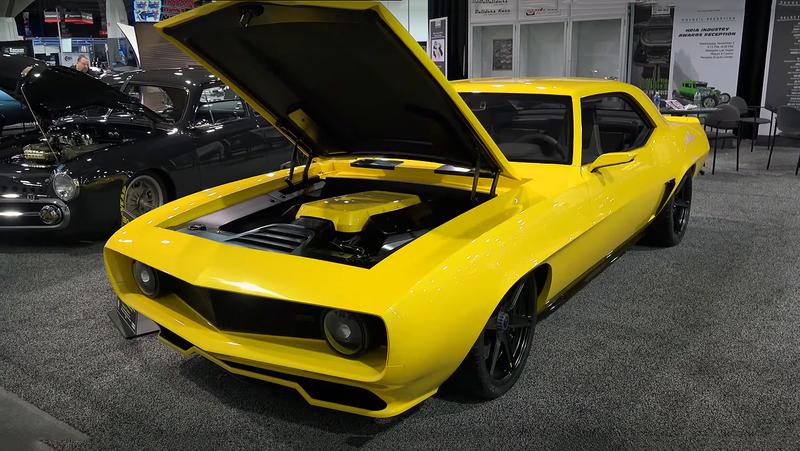 In addition, it is equipped with a custom billet aluminum steering wheel, retro instrument cluster, Kenwood audio system and a “Vintage Air” A/C unit. 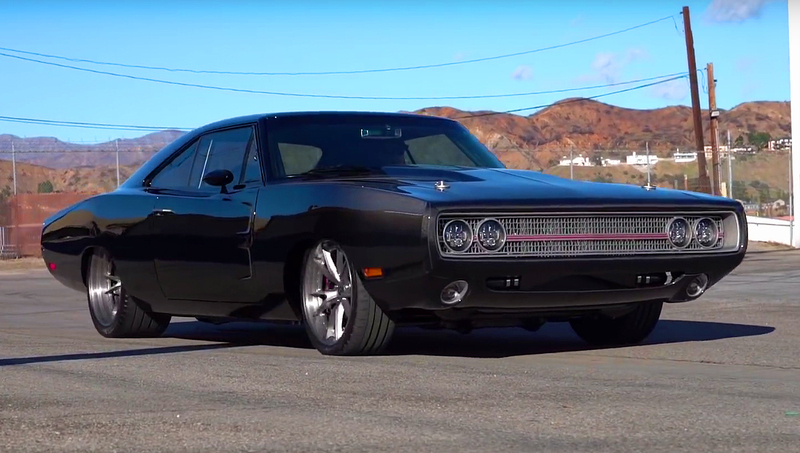 The entire front end is made from carbon fiber, including the hood, fenders, bumpers, deck lid, deep chin spoiler, valence and quarter extensions. The body has a combination of yellow desert khaki color and naked carbon fiber. 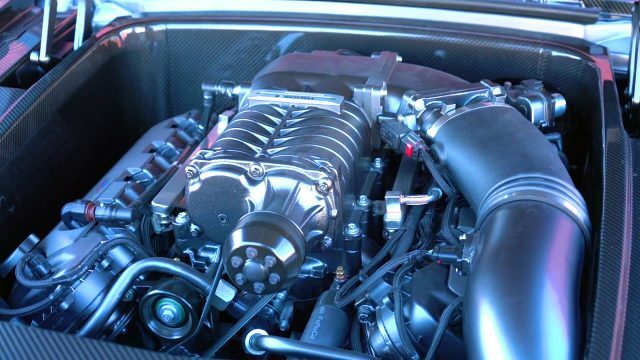 ﻿ Under the carbon hood it is equipped with a Ford Performance Aluminator 302 cubic-inch, 5.0-liter small-block Crate V8 engine, boosted with a Roush supercharger. The engine is matted with a Bowler T56 six-speed manual transmission, which spins Detroit Speed Ford 9-inch rear-end. In addition, it has a Detroit Speed aluminum frame with Quadralink, custom made HRE wheels wrapped in Michelin Pilot Super Sport tires and custom exhaust by SpeedKore.